Japan has quite strict rules about cosmetics. 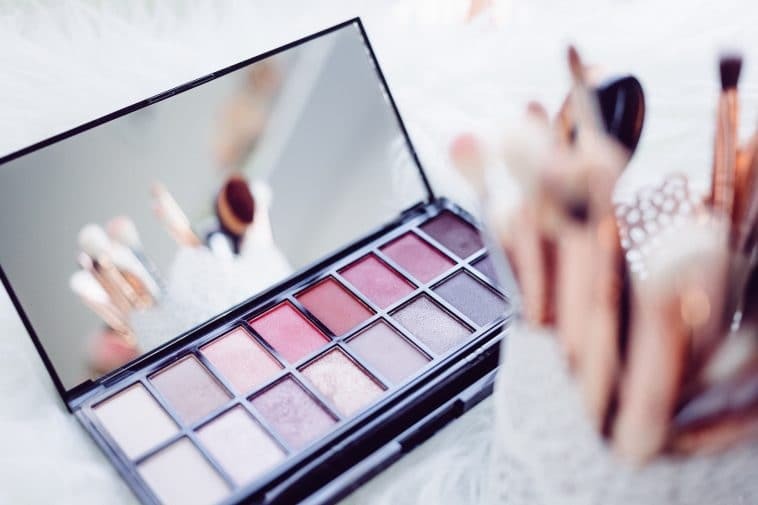 Import, production, and distribution (also referred to as marketing) of cosmetics are deemed to be separate areas and each of them requires a separate license. Licensing of cosmetics-related businesses is a quite complicated topic because of the number of existing licenses. Sometimes a company has to have several licenses to operate in the cosmetics business. In this guide, we will focus primarily on the Cosmetics Manufacturing and Sales License, or Kashojin Seizo Hanbai Kyoka (化粧品製造販 売許可) which allows manufacturing of products in Japan, import of products manufactured in other countries to Japan, distribution and sales of cosmetic products within Japan. However, we will also cover additional licenses that are necessary for packaging and storing of such products. Japan has a unique classification of cosmetic products which consists of two large categories: cosmetic products and quasi-drugs. Parfume and aeu de cologne. Makeup, e.g. creams, lipsticks, etc. Skin care cosmetics, e.g. cleansing milk, lotion, etc. Hair care products, e.g. shampoos, dyes, etc. Special-purpose cosmetics, e.g. sunscreens, shaving creams, etc. Quasi-drugs, or Iyaku Bugai Hin (医薬部外品), is a category unique to Japan. It is in many ways similar to cosmetics and sometimes drawing a line is difficult. What sets quasi-drugs apart from cosmetics is that quasi-drug cannot be a utensil or a device, it should have a mild effect on human body, and should be designated as such by the Ministry of Health, Labour and Welfare. Such commonly used items as deodorants, whitening products or anti-aging or acne treatment products and others are also quasi-drugs. Preventing nausea and other discomforts. Stimulating hair growth, removing hair. Exterminating and preventing mice, flies, mosquitoes, etc. The key document that regulates the import procedures is also the Pharmaceutical Affairs Law. Its key function is to make sure that imported products comply with the set safety standards of Japan. It means that even if the products have passed the quality check outside Japan and comply with the regulations of the manufacturing country, it does not automatically grant them the same status in Japan. Every importer is responsible and liable for making sure that imported products comply with the Japanese laws as well as quality and safety rules. To verify product safety all of the components must be analyzed. That is why the importer must provide the formula of the product for the expertise of the accredited testing company. At the same time, a company must establish a product safety and quality management system. As soon as ingredients and the necessary licenses are verified, cosmetic products are ready for import and clearance. Below you can find a step-by-step flow of import procedures for cosmetics and quasi-drugs. The chapters below will explain some of the steps in more details. Opening or appointing a Japanese subsidiary or a primary distributor in Japan when cosmetics are produced outside Japan. Obtaining a cosmetics manufacturing license if your company will be engaged in storing, final packaging and labeling of cosmetic products (or appointing a company that already has such a license and can perform these duties). Obtaining Business Code (Corporate Number). Packaging and Labeling (see below). Obtaining Cosmetics Manufacturing and Sales License (also called Primary Distributor License) from the prefectural Pharmaceutical Affairs Division that has jurisdiction over the office of the marketing supervisor general (see below). Obtaining an import/primary distribution/sales approval to start custom clearance. Distributing the products or transferring them to the distributor. The Manufacturer’s or Importer’s brand name to the Pharmaceuticals and Medical Devices Agency, Japan (Tokyo). The notifications should come along with the lists of ingredients from the supplier or the manufacturer. If such list is unavailable, one can submit a record of testing and inspection results that prove that there are no harmful or illegal ingredients in the formula. Appointing a marketing authorization holder (MAH) in Japan to handle documents and communicate with the MHLW on your behalf when applying for marketing approval. Applying for accreditation of foreign manufacturer at Pharmaceutical and Medical Devices Agency in Tokyo (Under MHLW). Applying for manufacturing and marketing approval at the Pharmaceutical and Medical Devices Agency in Tokyo (Under MHLW). Submitting an import notification for manufacturing and sale to Kanto-Shinetsu Regional Bureau of Health and welfare (Tokyo) or to Kinki Regional Bureau of Health and welfare (Osaka). Obtaining an import /primary distribution / sales approval to start custom clearance. These people should not be connected to the sales department and must implement Good Quality Practice (GQP) standards as well as Good Vigilance Practices (GVP). It is also possible to appoint only one person to perform all three duties. Applications for the Cosmetics Manufacturing and Sales License are handled by the prefectural pharmaceutical affairs division that has jurisdiction over the office of the marketing supervisor general. The fees for the license as well as for the processing of the documents may vary greatly depending on what kind of products you are producing or importing. The full list of service fees can be seen on the Bureau of Social Welfare and Public Health in Japanese. 30 000 – 70 000 JPY for the product testing. 20 000 JPY for sending notifications for 5 items, and 5-10% of the invoice value for customs clearance. 20 000 JPY for designing labels for 5 products. 500 JPY for printing 100 pieces of labels. 70 JPY for inspection and labeling. Import of quasi-drugs can cost up to several million yen. More tariffs can be seen in the Guidebook for Importing/Exporting Cosmetics to Japan by EU-Japan Center for Industrial Cooperation. A copy of the corporate registration (in case of a corporation). A list of duty specifications. A medical certificate specifying the applicant. Documents certifying the qualifications of the marketing supervisor-general. An employment contract of the marketing supervisor-general. Documents disclosing the quality management system. Documents disclosing the post-marketing safety management system. A floor plan of the business office and storage facility. The labeling is regulated by the Act against Unjustifiable Premiums and Misleading Representations. It prohibits improper, exaggerated, and false labeling that can potentially wrongly inform the consumers about the properties of quality of a given product as well as unclear and ambiguous information about the country of origin. Manufacturers and distributors must be able to prove the truthfulness of any claims they make about the product on its label to the Consumer Affairs Agency by providing documents verifying such claims. Any claims that were not verified by the Agency must be removed from the label. The Fair Competition Code is considered to be an industry rule, not a law. However, when the Code is adopted on the base of the Act, it has the same power as the Act. Consequently, breaking the Code is the same as breaking the Pharmaceutical Affairs Law. Aerosols require a special indication that the capsule is under pressure and needs special handling. According to the Law for Promotion of Effective Utilization of Resources packages must contain symbols that indicate the material used for packaging and instruct the user on the preferred way of sorted garbage collection. In Japan, production, import, and distribution of cosmetics are under the strict control of the government. Even if the products you intend to import or sell in Japan has been accredited in your home country or any other country, when entering Japanese market, they must be checked again in accordance with the Japanese system and laws. Japan has a unique class of products within the cosmetics industry called quasi-drugs that require even more detailed surveillance which affects the final fees for obtaining the license. Special attention should be paid to packaging and labeling. One must indicate all the ingredients used in a formula for a specific product and make sure that there are no harmful or prohibited substances involved in the production. Labels should also contain instructions about the proper utilization of the package. It looks like I need 2 licenses. Why? You might need two licenses if your company is involved in a) storage and packaging and b) distribution and sales. If this is true for your company, you will need both Cosmetics Manufacturing License and Cosmetics Manufacturing and Sales License. If packaging and storing are done by some other company and you are only dealing with sales, then you only need a Cosmetics Manufacturing and Sales License. Who can be appointed as a supervisor for quality management system? Appointed people should be certified pharmacists. Another option is to prove that the person in charge has sufficient knowledge, understanding, and experience in the pharmaceutical area. Can the license be denied or revoked? Rejected when trying to obtain the license during the last 3 years. Sentenced to imprisonment during the last 3 years. Involved in a drug offense during the past 2 years. Found to have mental conditions that prevent them from running the business normally. Do I need to apply in Japanese? Yes. The whole process and documentation are handled in Japanese. In case your skills are insufficient, you can use the services of a Japanese qualified administrative scrivener. Where can quasi-drugs be sold in Japan? Quasi-drugs can be found next to regular decorative and treatment cosmetics in stores and pharmacies. It can be bought over the counter without a prescription.